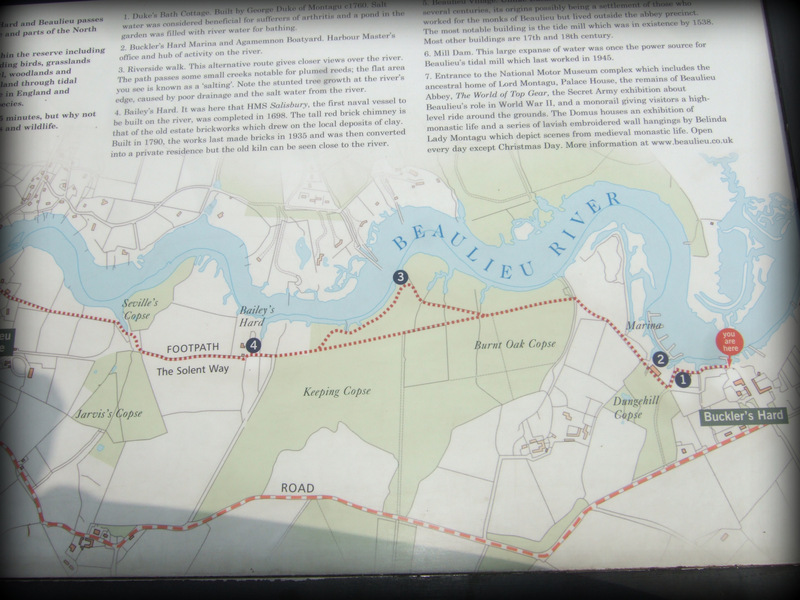 Nancy had been brought up from her birth at Woolverstone on the River Orwell in Suffolk to Buckler’s Hard on the edge of the New Forest in Hampshire for The Arthur Ransome Society International Annual General Meeting held at Brockenhurst College near by. 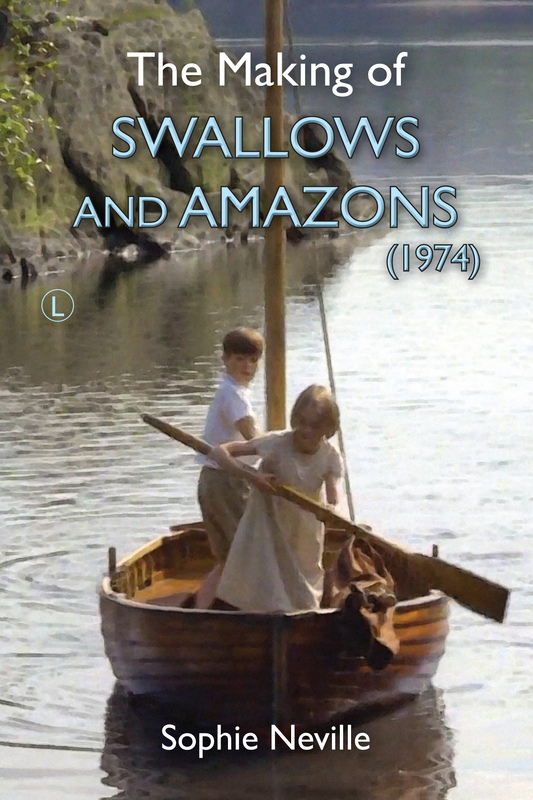 Apart from being Arthur Ranomse’s model for the Goblin in two of his books in the Swallows and Amazons series ~ We Didn’t Mean To Go To Sea and Secret Water ~ the Nancy Blackett has recently appeared in Sally Potter’s feature film Ginger and Rosa. I went to visit her when she was open to visitors at the Boat yard at Bucklers Hard on Sunday 26th May. We emerged having wondered how Arthur Ransome managed to fit himself into the heads, which are right in the bows. Apparently he used to sit there smoking his pipe. How his wife squeezed herself in I do not know – she was 6’3″ tall. before finding Nancy at the marina. After climbing into our life-jackets, we left the mooring and motored down the Beaulieu River. Once we reached the Solent, our sails were hoisted and we were sailing towards the Isle of Wight. Peter Willis, Chairman of the Nancy Blackett Trust was with us. 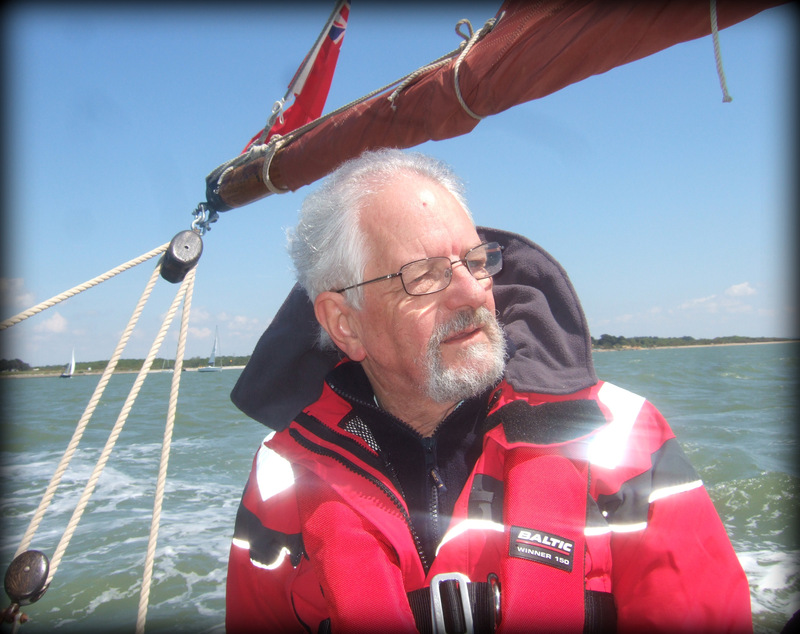 It was exciting to take the helm as we made our way up to Lymington on a broad reach at about 4 knots, at first against, then with the tide. Having left at about 10.00am we reached the Royal Lymington Yacht Club soon after 3.00pm and moored up for the night. We had enjoyed perfect conditions and the most wonderful experience. 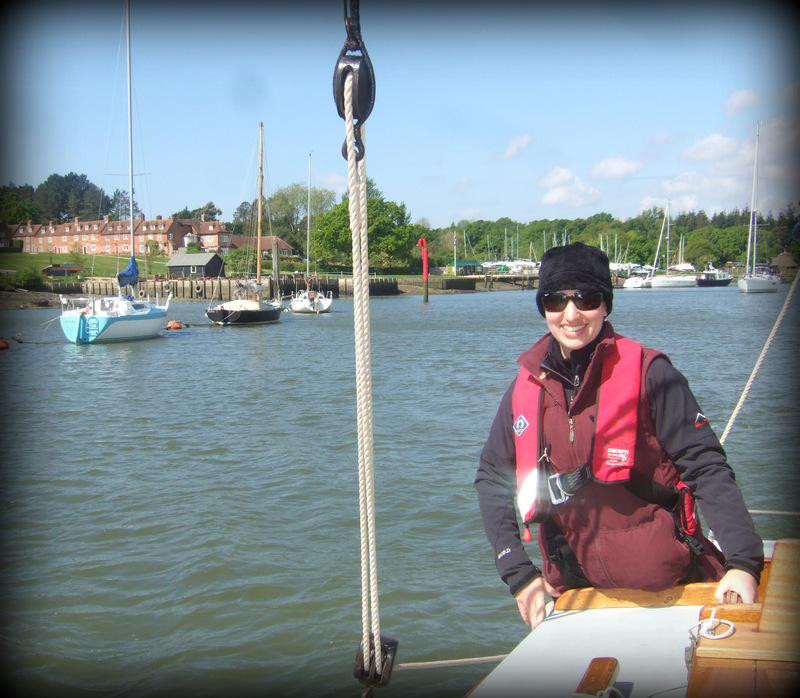 Nancy’s crew then welcomed aboard sailors from the Royal Lymington Yacht Club who were keen to see around her. 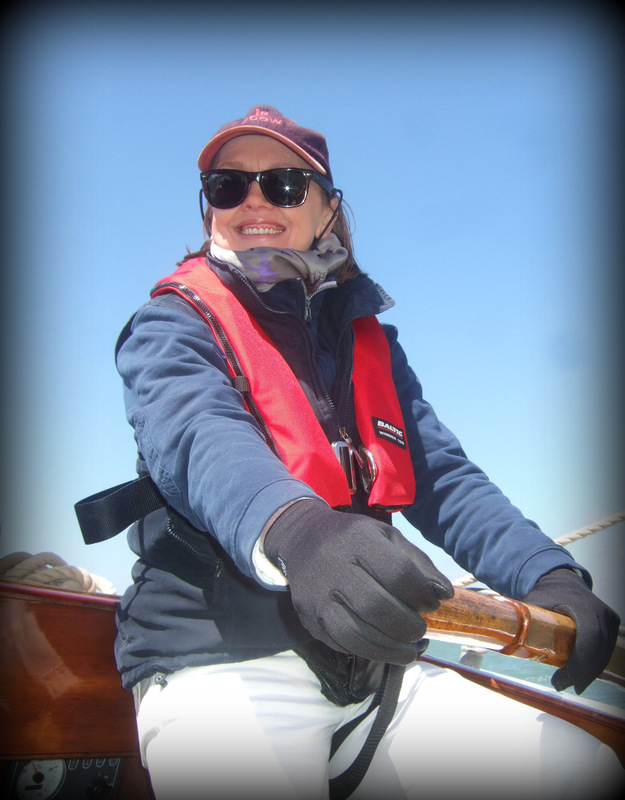 If you would like to sail the Nancy Blackett do visit her website and join the trust. The next meeting will be on Saturday 6th July when Sophie Neville has been asked to give a talk on ‘Filming ‘Coot Club’ and ‘The Big Six’ in Norfolk’. 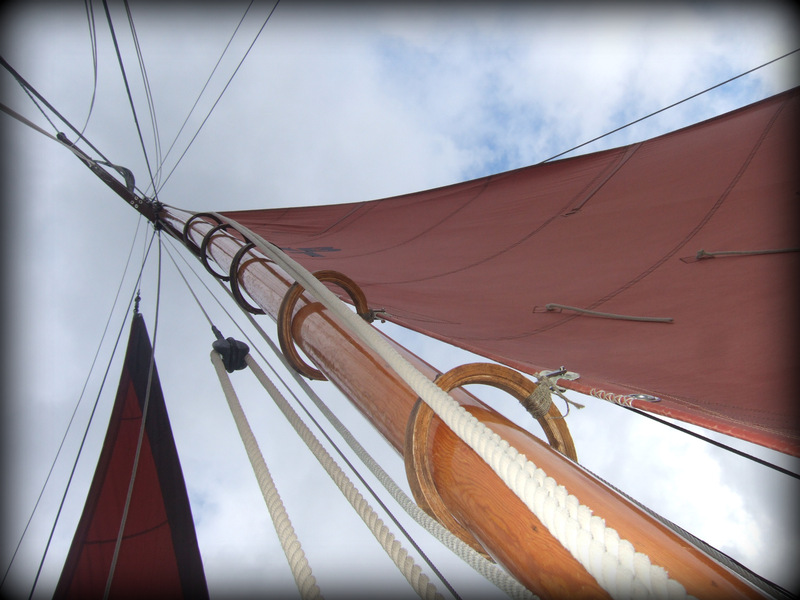 The Nancy Blackett was recently profiled on BBC 1 by Coutryfile when Matt Baker went out on her first sail of the season.